As insurers, we take care of people's health and the associated risks that may threaten it, whether due to disease or the consequences of various kinds of accidents, particularly road traffic accidents. For this reason, the majority of the initiatives we support consist of activities to raise awareness and educate people in relation to health issues regarding the active aging of the population, the prevention of diseases and addiction, maternal and newborn health and the adoption of healthy lifestyles. Also considered here are amateur sports initiatives, particularly those for children and adolescents, as we believe that sport is an excellent vehicle for promoting the values of a healthy and responsible lifestyle. The initiatives we support in this area include the Lokar Bianca Growth Plan in China, a programme that aims to increase the nutritional standards of children attending two primary schools in the Yunnan and Sichuan provinces. The funds contributed allow each child in the schools to receive an egg a day. In Bulgaria, we sponsor a national football tournament for children aged 10-14 years in the cities of Burgas, Varna and Stara Zagora. The tournament is part of a programme implemented by the Bulgarian Football Association and the Ministry of Sport and is the only initiative of its kind in the country. The purpose of the project is manifold: on the one hand, it focuses on the physical development of the children while, on the other, in a context of high school dropout rates, children who participate in the programme have an opportunity to access dedicated schools and continue their studies. In Germany, for a number of years now, in partnership with the association Allianz Chronischer Seltener Erkrankungen (ACHSE), the Group assigns the ACHSE-Central-Award dedicated to people with rare chronic diseases. This year the award was given to Kinder-Augen-Krebs-Stiftung (KAKS), an association involved in research and support for the families of children with cancer of the eyes. The association is also involved in training in the disease which, if diagnosed in a timely manner, can be cured, but often due to lack of information the symptoms are not recognised, resulting in the death of those affected by the disease. In terms of road safety, we are focusing not only on education/ awareness initiatives but also on projects to improve road safety (signage, road surfaces, lighting, etc.) and on activities to support those involved in accidents. In the Czech Republic, numerous initiatives related to road safety have been undertaken. In particular the Vymoly project aims to make roads safer through the continuous monitoring of potholes. By means of a dedicated website and mobile app, the general public can report any potholes they come across on their travels throughout the country. The reports are added to the website so that all travellers are made aware of the danger and the road maintenance workers can fix the road surface. interviews with representatives of the competent authorities. 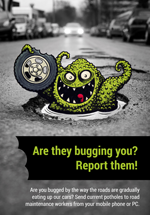 In addition, the public is invited to participate in competitions to award the title of worst pothole of the week and the year, as well as the user who reports the highest number of potholes. This initiative is such a success that it is being extended to include Slovakia and Hungary. In a context of general economic crisis, we are also attentive to social issues, particularly with regard to employment and integration. We support initiatives for social and occupational inclusion/reintegration and the rehabilitation of young people, both in a school environment and in the workplace. We believe in the value of diversity: for this reason, we support initiatives to develop personal skills, aimed at mixed groups in terms of gender, race and disability, and projects focusing on the social integration of disadvantaged people (the poor, immigrants, the disabled, etc.) at school, at work, in sport and in culture. In this regard, Spain has signed a partnership with DKV Integralia, a foundation whose objective is the social and occupational integration of people with disabilities, with the aim of helping the disabled find work in the city of Badajoz. This project gave rise to Integracall, a telephone support service aimed at and run by disabled people, to which we have contributed by providing the necessary technology and training for operators. In Panama, we work with Casa Esperanza, an organisation that aims to eliminate child labour for children living in extreme poverty. Generali’s intervention allows children to return to school and have access to education, while households are guaranteed a basic income that is sufficient to cover their needs. As a financial Group, we believe that it is essential to roll out financial and insurance education programmes to expose people to topics that are important for the life of each individual, but of which they are often not aware. We also believe that it is equally important to guarantee access to financial/insurance products with a basic performance for people on low incomes. selecting applications for access to microcredit from banks based on business requirements. The first course was held from May to December 2013, representing a total of 200 hours of educational activities, and resulted in the award of 22 diplomas to operators who became trainers themselves. Currently in San Patrignano, these young people are responsible for stimulating the creation of project ideas among young people at an advanced stage of recovery (from the third year onwards), and assisting them in turning their ideas into concrete business plans. The project will finance the guests of the community, who, having completed their four-year rehabilitation course, are considering making a return to the labour market. To this end, a Centre for Studies and Professional Training has been created in the community in the belief that study and professional training are major contributing factors to the successful recovery from drug addiction and help prepare young people to return to the workplace. In Brazil, a pilot project is currently underway in collaboration with the Centre for Digital Inclusion (CDI), a non-governmental organisation that aims to improve the lives of people through technological inclusion. This initiative, which is aimed at people living in shanty towns, is developed along two lines: the definition of microinsurance plans, including life insurance products and cover for funeral expenses, and the provision of insurance/ financial training for people in the community in order to sell these products. Another feature of our business is the fact that it is based on long-term activities and the relationship of trust between us and our clients. These elements naturally lead us to care for and preserve what we have today over the long term in order to be able to enjoy the same relationships in the future. In particular, we care for our planet with regard to climate change, by promoting studies on this issue, contributing to securing areas at risk, and undertaking awareness and education activities in relation to the environment. 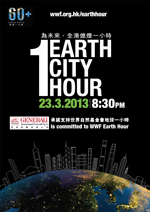 Our companies in China, India, Hong Kong and Dubai have joined the WWF’s Earth Hour 2013 initiative to help raise public awareness about the issue of climate change by turning off the lights in their offices for one hour on 23 March and encouraging their employees and clients to join the initiative at an individual level. In China, the initiative was communicated to employees by means of a blog and emails, which encouraged them to adopt sustainable behaviour. For each day of the week, practical suggestions were provided, such as eating more vegetables, using recyclable shopping bags, etc., with the goal of transforming these little actions into long-lasting habits aimed at protecting the environment. In Germany, we collaborate with the Licherode Centre for Environmental Education, which offers educational programmes on sustainable development to children and teachers. Children aged 6 to 14 years can participate in the school camps for one week in a village built entirely according to ecological criteria, where they have the opportunity to live in contact with nature, experience organic farming and learn about biodiversity. The issues addressed in these open-air workshops include habitats, raw materials, natural resources, waste recycling, food and agriculture. We also believe that it is important to act to preserve not only the environment but also the artistic and cultural heritage accumulated by man over the centuries. To this end, in 2013 in Italy, in partnership with the Pro-Venice Foundation, restoration works were carried out on the Cappella dei Tessitori (weavers’ chapel) in the Chiesa dei Gesuiti (Jesuit church) in Venice and on works by the artists Carpoforo Tencalla and Abbondio Stazio. In Vienna, the Generali Foundation is an example of the commitment to protecting the contemporary culture of the 1960s and 1970s with a focus on conceptual trends. It has a collection of 2,100 works by 250 international artists, in addition to an important documentary archive and a library; of particular importance is the video library which has 500 films and videos of artists. The Generali Foundation also organises art exhibitions and artistic events, publishes texts on the theme of art and restores artefacts.